MyGica ATV1900 Pro comes with the MyGica KR41 Air Mouse remote control and other enhancements over the 1900AC. Whats new in MyGica ATV1900 Pro? The MyGica ATV1900 Pro comes with Android 5.1 and now supports 4k videos at 60 FPS. has the same features as the MyGica ATV1800e but with a few big improvements. The 1900 Pro has built in dual band AC Wifi and gigabit ethernet port. Includes option to plug in a 2.5" HDD directly into the MyGica 1900 Pro for those wanting to store more content or use the Kodi PVR feature. The 1900 Pro features H.265 support for video resolution upto 4K at 60 FPS. ATV 1900PRO is Best in Class Wi-Fi Range Featuring Dual Band (2.4GHz / 5GHz) Wireless AC Technology and Gigabit Ethernet 10/100/1000MBps Speeds. Faster and Better range compared to previous generation Wi-Fi. ATV 1900PRO can handle all Android Apps using little resources, equipped with 16GB Internal Memory and 2GB Ram. 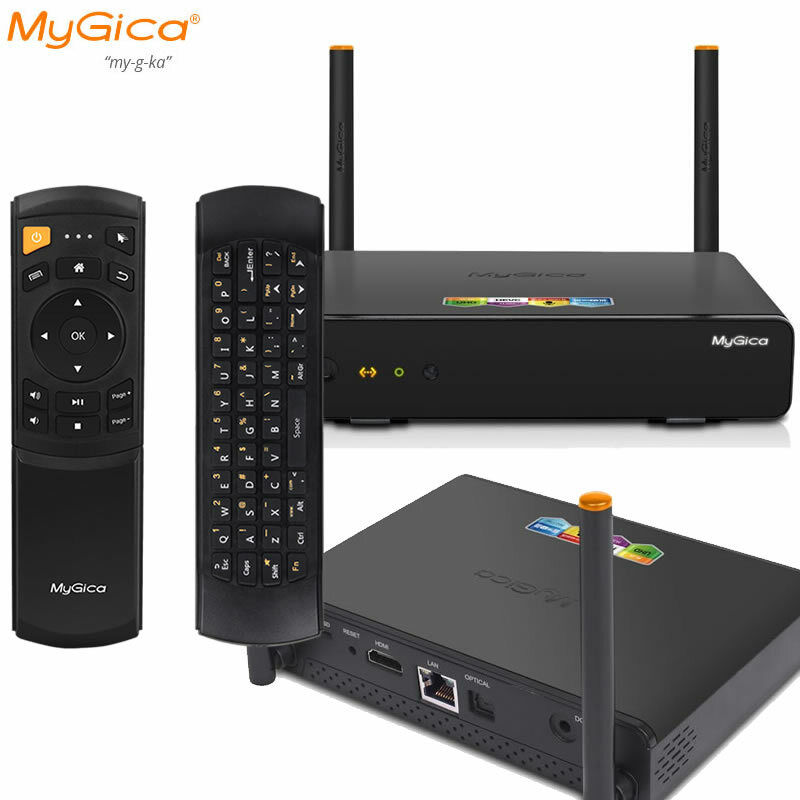 MyGica is One of the Worlds First Powered Android TV box loaded with 5.1 Lollipop. Android 5.1 Supports Android TV Apps, Android Mobile / Tablet Apps, Google Voice Search, Google Remote Control, Screen Casting (Built In Chrome Cast) and the Fastest Android Version to date. MyGica ATV1900 PRO comes preloaded with KODI Media Player (formerly known as XBMC).